RCAF WD (Women's Division): Members of the Women’s Division (WD) of the Royal Canadian Air Force (RCAF) were wartime pioneers. Thousands of young Canadian women volunteered to serve at home and abroad during the Second World War as part of the air force. Commonwealth Air Training Plan Museum on Wednesday. Marion Reed describes her service in the military as just something she did, but to many others she is a trailblazer. 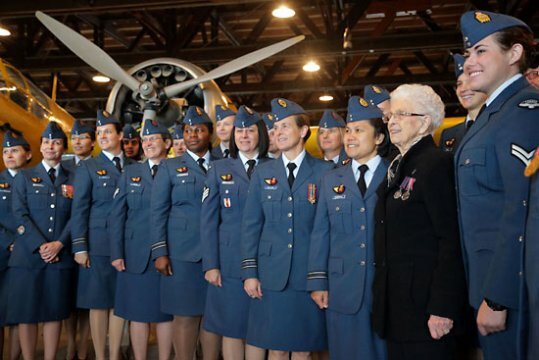 The 96-year-old woman, still walking with gusto and blessed with an astute mind, was embraced by the women who followed in her footsteps — women who are today members of the Royal Canadian Air Force — with hugs and handshakes Wednesday afternoon following a ceremony recognizing 75 years of women being part of the RCAF. 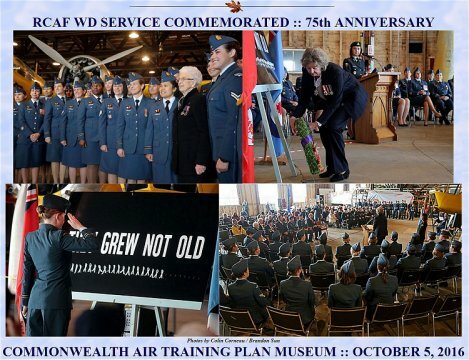 Brandon’s Commonwealth Air Training Plan Museum hosted the ceremony, which included a speech from Reed, who marvelled at her time in the women’s division, where ladies from all walks of life united for a common purpose. "So often we have heard the phrase, ‘comrades in arms,’ and that’s what we became," she said. During her service, Reed said she learned how to respect others, tolerate differences and rely on other people. "I wouldn’t have missed it for the world," she said of her two years stationed in Brandon handling pay records at the end of the Second World War. She explained that the camaraderie had a lasting impact on her life. "I was an only child, it was like having a big family," Reed said. "I always had my own bedroom and all of a sudden I was in a big bedroom, a barrack room, with 59 other women." Sgt. Caroline Linteau, who has been with the Air Force for 14 years, hugged Reed after the ceremony. "She’s such a good woman — she’s strong. You can see it in her face actually when you talk to her," Linteau said. "She gives you the drive to continue on." The event was a tribute to the women who chose to serve, and those whom ultimately gave their lives in service of their country. A ribbon was affixed on a memorial for each of the 31 women from the RCAF division who died during the Second World War. At the ceremony, a present-day RCAF female officer from 17 Wing Winnipeg recited the names of the deceased, which included Cpl. Dorothy Wakefield of Forrest who is buried at Brandon Cemetery. Archie Londry was a flying instructor during the war effort, stationed in Brandon at Service Flying Training School No. 12 where the museum is now housed. 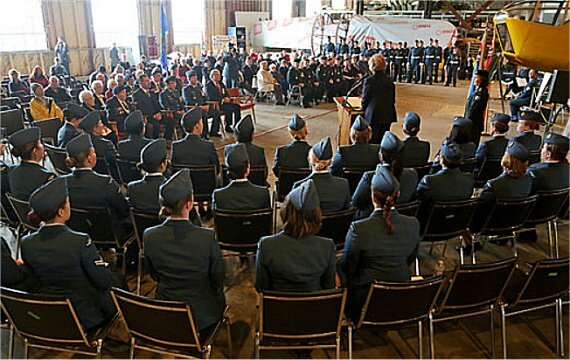 He said those 17,000 women who joined the RCAF, including those he worked alongside, were welcomed in the ranks. Women eager to serve their country in uniform began a movement that helped expand from what were, at the time, standard jobs for women, such as teachers, nurses and secretaries, he said. "After the Second World War, the world was open to them," Londry said. "They did every occupation and they carried on and did it well." Lt.-Gov. Janice Filmon was on hand to lay a wreath beside the monument. She said in a year where the government is acknowledging that women have been voting for 100 years, it is a "personally powerful experience" to recognize the brave work of the women who served. "These women contributed directly in the effort to defend our country and its values," she said. Following Filmon’s remarks, Reed said she felt the warmth from strangers who admired her bravery. "Flattered," Reed said, about the way she felt after the ceremony, even if she would have shrugged her shoulders at the time. "You did your service, it was just something you did." 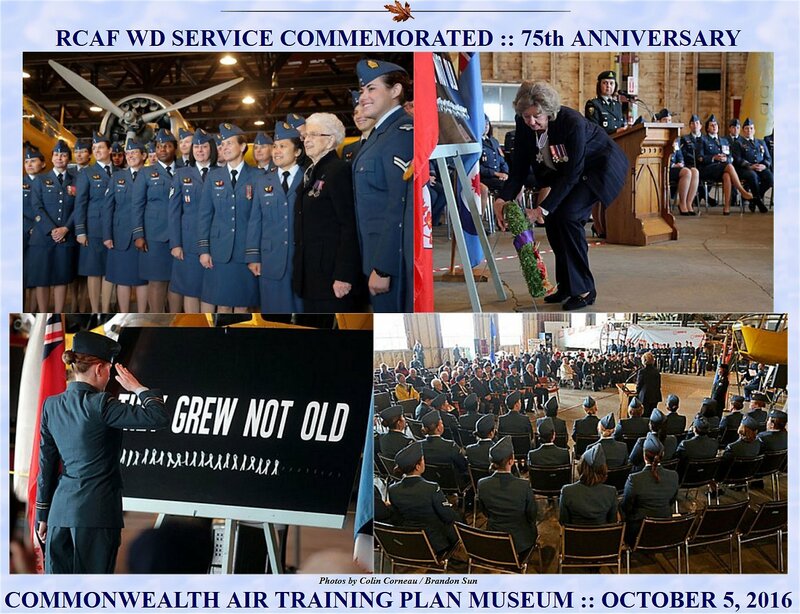 recognizing 75 years of women being part of the Royal Canadian Air Force. 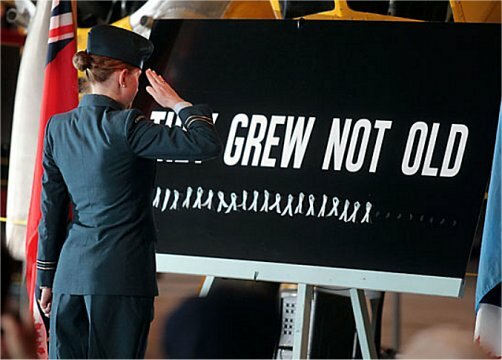 to honour 31 women with the Royal Canadian Air Force who died in WWII. 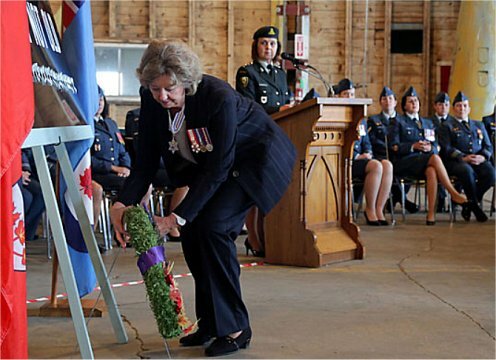 to honour 31 women with the Royal Canadian Air Force who died in the Second World War. and soon will be added to this issue.